An experimental rock climbing space inspired by the simple action of dropping rocks through horizontal planes. Brings back the spontaneity of natural rock formations which feeds the puzzle like nature of the sport. the Space is divided vertically allowing climbers to enjoy the achievement of climbing to new hights. the floor plan encourages exploration, allowing regulars to find their own favourite nook while keeping the experience fresh. 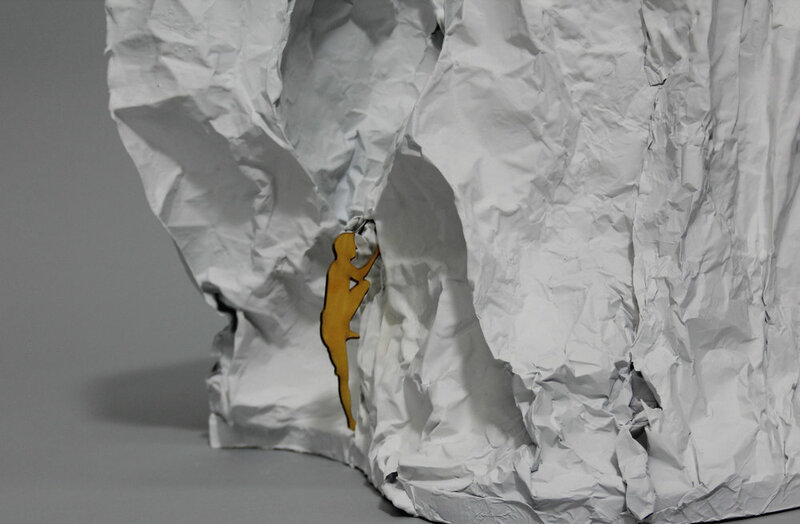 Exploration of dropping rocks through stacked foil plains, allowing the natural force of gravity to play a part in the floor plan, the force each climber is actively fighting throughout the climb.